I´ve recently registered as a new member on this forum. I am a representative of Westermann Motorsport/MOG Racing, an official Caterham partner/dealer in the southwest of Germany. We are also a well-known Caterham tuner in southwest Germany with super products that we deliver worldwide to enthusiasts. We supply and service many successful drivers from the United States, Japan, Hong Kong/China, Australia and throughout Europe. We are looking forward to further expanding into new markets by offering some of our really clever products we are certain will help you guys with performance/replacement parts, as well as technical help. We specialize in SADEV gearboxes, Nitron shocks, BBS wheels, various carbon fiber products, and K-series, C20 XE, Cosworth Duratec engines. We also offer a variety of both performance and styling parts for various Seven styled models and kit cars, including Westerfield, HKT, and Donkervoort. Our Managing Director, Mr. Joachim Westermann, has been extremely successful in building/tuning and racing Caterhams since 1992. Please feel free to contact me with any questions or interest, or you can take a look at our website by clicking on the link in my signature. We look forward to getting to know you all and your amazing rides! That's nice but you're in Germany and I'm in California. .. Shipping is prohibitive to the US and this group makes their own parts (for the most part). Thanks for your interest, please do not consider yourself my "Official Supplier". ho boy, those CF seats make me itchy!!! the fiberglass one are so heavy! Hey bobbeysr27! Thank you for your interest. Like you, we understand how hard fighting the urge of switching to CF can be! I was able to snoop around the internet for some comparable dimensions. It appears that the Caterham sized deflectors generally fit the Indy quite well. 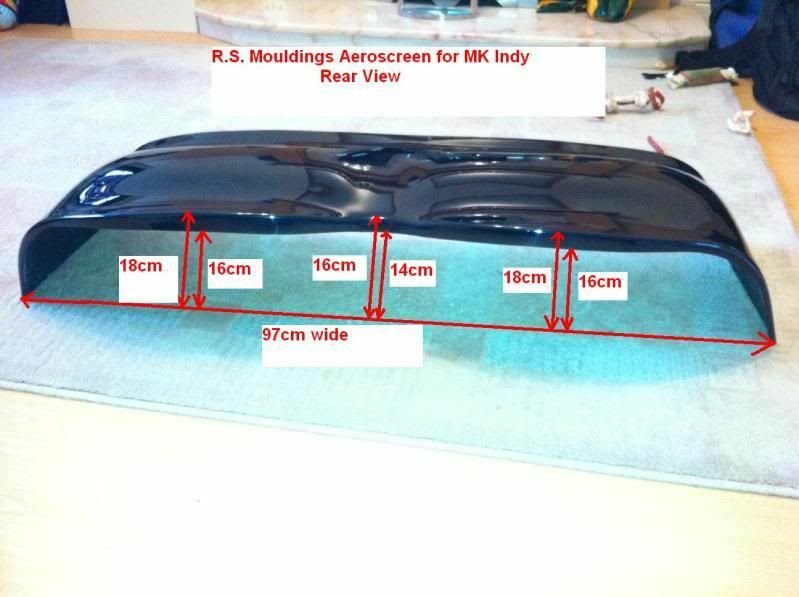 I found these dimensions below for MK Indy fiberglass moulds on the UK Locost site from a company called R.S. Moulding. I am not sure how approximate they are, maybe you can measure yours to double check? I have also seen claims of the scuttle width being around ~93 cm , and am going to assume that your Deman has similar dimensions. The width of our deflector is about 96 cm (37.8") wide from the front. With the addition of a little insulation, I believe it will fit very nicely. 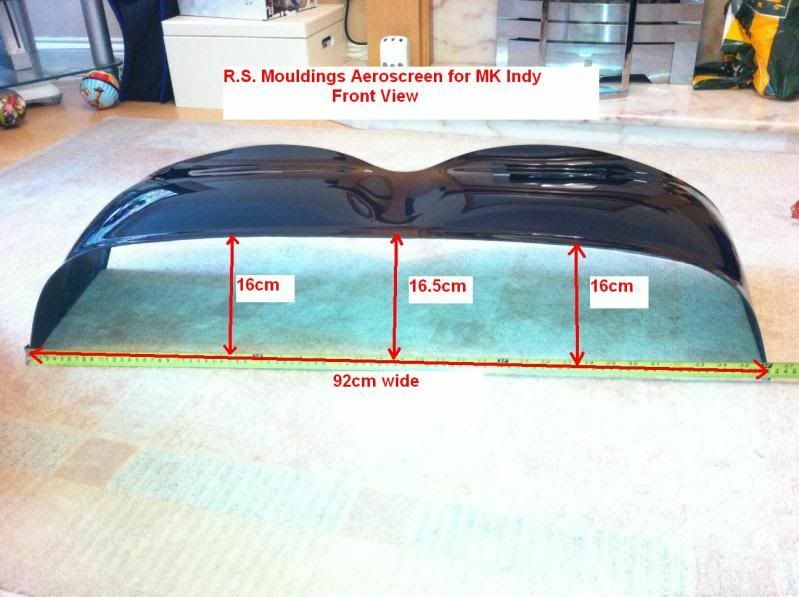 I also attached the following images below so you can see how our deflector fits on a Westfield. Last edited by vicguz on May 22, 2014, 2:21 am, edited 1 time in total.